This wedding was organized in a resort feel restaurant - Villa Bali. The bride opted for colorful cupcakes to stand out against the natural surroundings and a very unique little tower of petite cupcakes as her cake! 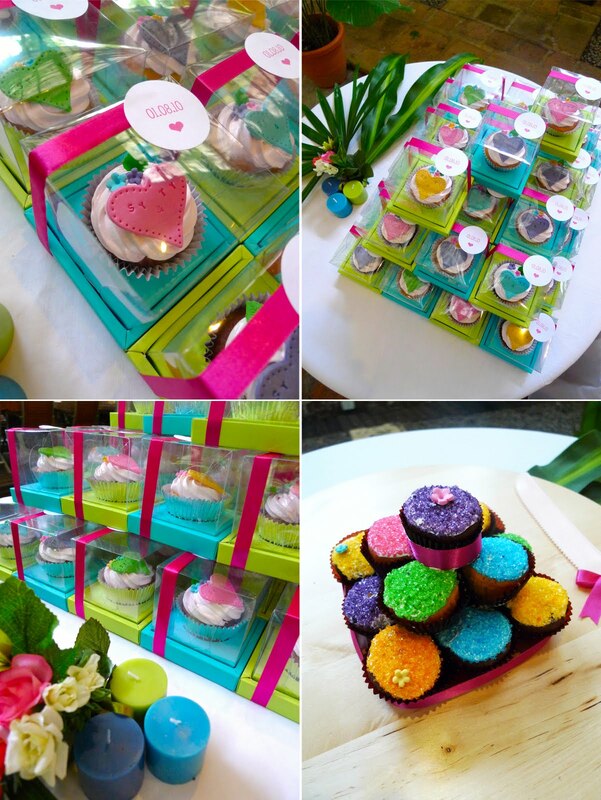 Those cupcakes are so beautiful! I love all the colors.